We want to thank you for taking time to visit our website. 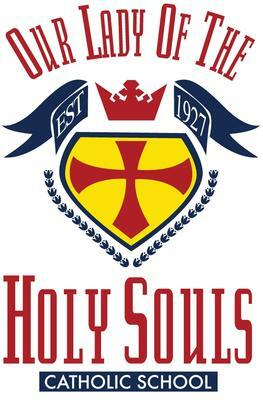 As you visit the pages you will begin finding that "Building a Foundation of Faith, Learning, Love, and Respect" is the motto for Holy Souls Catholic School of which we are very proud. Holy Souls school has been designed to meet the wide variety of educational needs of children. We are committed to the goal of academic excellence and believe that the fundamental skills of reading, math, and language as well as nurturing one's faith are of the highest priority in the education of our young people. We also believe that a child’s self-esteem is the key to success in school and we have created a safe and supportive environment that enhances the joy of learning for our students. Holy Souls School provides quality instruction in basic skills. In additional we offer various enrichment programs by specialist in art, music, physical education, technology, Spanish, and library media skills. Naturally we want you to know why our school is so exemplary. But it is not enough to just know-we believe you must SEE what is happening in the school to fully appreciate the quality programs and staff we have to offer that work toward advancing your child’s education. We would like to extend a personal invitation for you to come see all the wonderful things we offer. Please contact Mrs. Handloser at handloser@holysouls.org or call (501)663-4513 to schedule a tour.